Search Minnesota Mugshots, Find Inmates and Who's In Jail, Inmate Search, Search Arrest / Criminal Records. 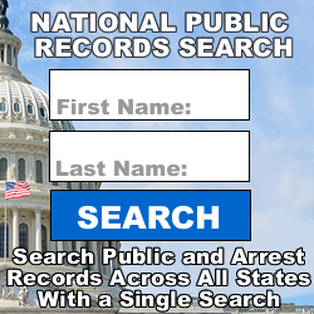 Research Minnesota Arrest and Criminal Records. Search Whos In Jail and Locate Minnesota Inmates. Search Minnesota Jail Mugshots / Inmate Criminal Records By County. State prison Minnesota Inmate Search and Directory. Saturdays and Sundays 10:15 a.m. to 5:45 p.m.
Wednesday and Thursday and Friday 5:30 p.m. to 8:30 p.m.
Saturday and Sunday 8:45 a.m. to 3:45 p.m.
Thursday and Friday 11:45 a.m. to 9:00 p.m. Registration is closed from 3:45 p.m. to 4:45 p.m. Registration closes at 8:00 p.m.
Saturday and Sunday 8:45 a.m. to 6:00 p.m. Registration is closed from 10:45 a.m. to 11:45 a.m. and from 3:45 p.m. to 4:30 p.m. Registration closes at 5:00 p.m.
Saturday and Sunday 7:00 a.m. - 10:00 a.m.
Thursday through Sunday 11:30 a.m. to 8:30 p.m.
You may visit 1 to 2 hours during the week and 1 hour on weekends. Registration/front desk closes at 7:00 p.m.
Thursday and Friday 3:30 p.m. to 9:30 p.m.
Saturday and Sunday: 8:30 a.m. to 11:30 a.m. and 12:30 p.m. to 4:00 p.m.
Monday, Tuesday, and Holidays no visiting. Weekday count times 11:00 a.m. to 12:00 and 3:00 p.m. to 4:00 p.m. Weekend count times 11:00 a.m. to 12:00 and 3:00 p.m. to 4:00 p.m.
Monday thru Wednesday / Holidays no visits. Thursday - Sunday 9:00 a.m. to 5:30 p.m.
Monday, Tuesday, Wednesday and Holidays no visits.